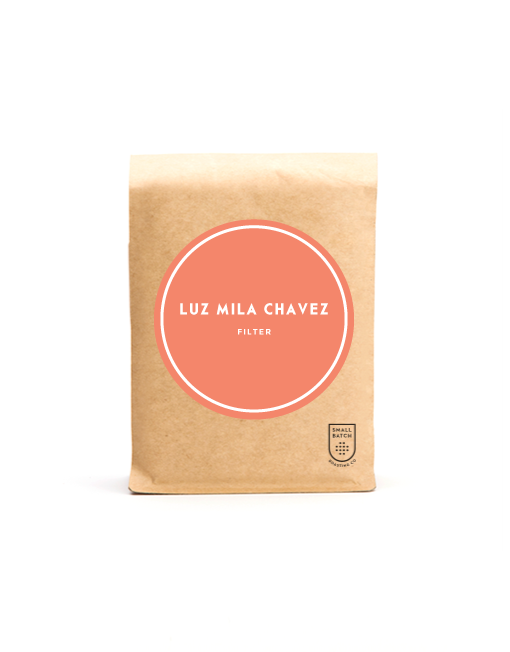 Luz Mila Chavez – Filter | Small Batch Roasting Co.
Luz Mila Chavez: We were *really* hoping we’d be able to release Luz Mila’s coffee as a feature, and our hopes have come to fruition – and as a filter roast no less! 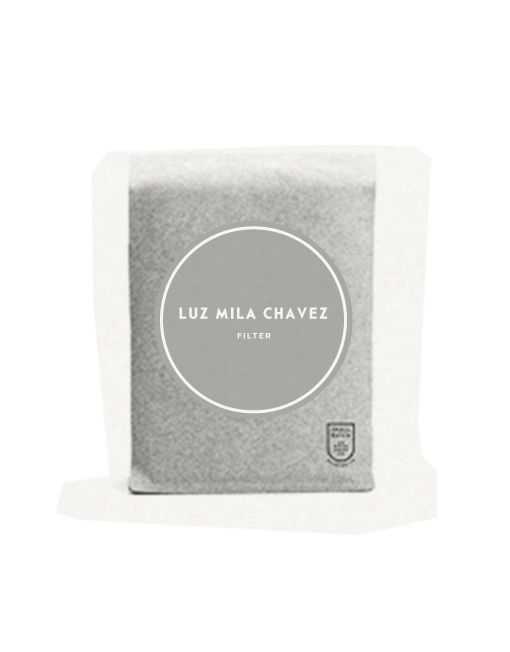 Luz Mila made quite the impression on us: she’s proudly a hard working woman of the land; she’s a very diligent and intuitive coffee producer, and – importantly – she maintains a sparkle in her eye and a smile on her face. She got serious about coffee after her husband died, replacing the cows that previously roamed her hills with more coffee, and has continued to focus now as she has seen that with a good technique and great natural climate and altitude, she can earn micro-lot pricing for her labours. Goes to show what a difference good agriculture and good technique makes too – and why we were eager when we visited to praise Luz Mila’s various quality markers … hand sorting the cherries after picking, bringing the coffee in over night while it’s drying so it doesn’t rehumidify, and maintaining a healthy stock of shade trees (she likes “carbonero” trees, for nitrogen fixing purposes). Also, happily, many coffee producers from Narino culturally tend to preference the use of organic fertiliser materials (guinea pig and cow poo mixed with decomposed coffee pulp in Luz’s case), only supplementing this with small amounts of conventional fertiliser, and Luz Mila exemplifies this perfectly. What’s the take-away? Luz gets paid a nice premium, we feel satisfaction in the work we do and an emerging feeling of connection to a great women producer, exemplary in her region, and cultured coffee drinkers of Australia get to enjoy all this, and the taste in the cup – it’s is a win-win for everyone! In the cup: hello creamy sugar browning with stonefruit complexity . Does one need more? For more info on brewing your coffee for maximum enjoyment, check out the Brew Methods page. Whole beans only. Roasted for filter brewing.